Have the Zodiac and star signs changed? Newspaper reports of an astronomer's view that star signs cover the wrong dates have caused a hubbub. So are Pisceans really Aquarians? Astronomy instructor Parke Kunkle has generated a wealth of online and watercooler discussion in the US and elsewhere. He pointed out in a Minnesota newspaper that a wobble in the Earth's rotation meant that the stars were in a different position - as viewed from Earth - than they were 2,000 years ago when the Zodiac was drawn up. Since then the story has gone viral, with many - including those with star sign tattoos - expressing concern about the possibility that they might have spent years checking the wrong horoscope. But should they be looking at the predictions for a different sign? Astrologers say this shift in where the stars appear to be has no bearing on the "tropical zodiac" system. This is what is typically used for horoscopes in the West, and is based on segments of the sky calculated using the equinoxes on Earth. For astronomers, astrology is mere pseudo-science, and there are plenty of people who only read their horoscope with their tongue firmly in their cheek. But even if you regard astrology as bunk, Kunkle's pronouncement still reveals an interesting astronomical phenomenon. The stars appear to move over the years because of a 26,000-year long process called "precession". This is because of the wobble in the rotation of the Earth. "As a consequence of this, over the last two thousand years the dates at which the Sun appears to move in front of each background constellation of stars has altered by a few days," says Dr Marek Kukula, public astronomer at the Royal Observatory, Greenwich. "Astronomers therefore have to include the effects of precession to ensure that long-term predictions of celestial motions are accurate. The gravity of the Sun and Moon work together on the Earth's tilted axis, causing it to gradually shift. "Every 26,000 years it slews slowly round in a circle, much like a spinning top wobbling around on a table. This additional motion is almost imperceptible on everyday timescales but over centuries it adds up." So the stars don't move, but they appear to move over the course of centuries. It is this process that led Kunkle to calculate that the Zodiac should have new dates. But this is an annoying red herring for astrologers. They point out that this precession only affects "sidereal" astrology, a system commonly used in India and by other people with an interest in "Vedic" astrology. In this system signs do shift. "People might be Aquarian under the tropical system but a Capricorn under the Vedic system," says astrologer Russell Grant. But in the "tropical zodiac", the system used by Western astrologers, there are fixed sectors of the sky through which the movement of the sun, moon and planets is tracked to create the basis for horoscopes. "The tropical zodiac is fixed and immovable. It is static - whatever happens to the Earth's axis." These sectors of the sky use the equinoxes as reference points, not the constellations upon which the star signs are based. "I'm delighted that I'm looking at the exact same sector of the sky that my Babylonian equivalent looked at," notes astrologer Jonathan Cainer. 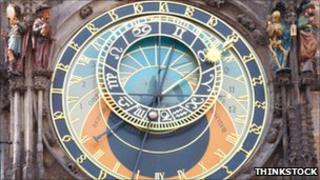 The suggestion of a 13th sign - "Ophiuchus" - is also dismissed by astrologers. They point out that the Babylonians consciously chose 12 signs. In other systems there have also been signs for "Arachne" and "Cetus the Whale", notes Grant. Both the effect of precession on the zodiac and the presence of a 13th sign are stories that crop up in the press every few years, Grant explains. And the coverage is irksome to astrologers, says Cainer. "I'm annoyed because it treads on several raw nerves at once." The publicising of the effect - and its use to dismiss astrology - represents the "incredible bigotry some members of the scientific community display towards astrology", says Cainer. But for all those people that believe in astrology or set some kind of lesser emotional store on the signs of the zodiac, they can rest easy. The Tauruses are still Taurus and the Arieses are still Aries.